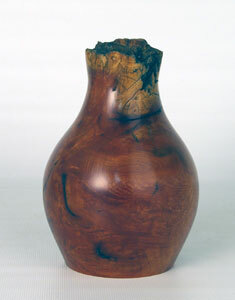 This little piece of manzanita root burl comes to us from California river bed. It is 5″ by 3 1/2″ and the neck top is natural edge. The wall thickness is approximately 1/4″. This type of wood has great colour and character.